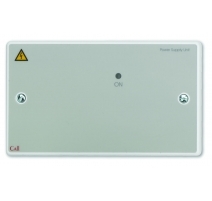 A general purpose mains to regulated 24V d.c. power supply unit intended for use in fire alarm systems of all sizes. 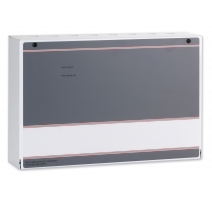 Includes a built-in 24V double pole changeover relay. Mains On, Battery/PSU Fault and Output Triggered indicators. Trigger and hold off inputs can be used to control the internal relay. 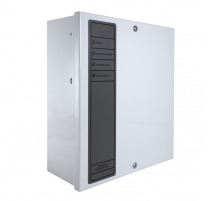 Optional back-up batteries can be fitted to maintain the output in the event of mains failure. 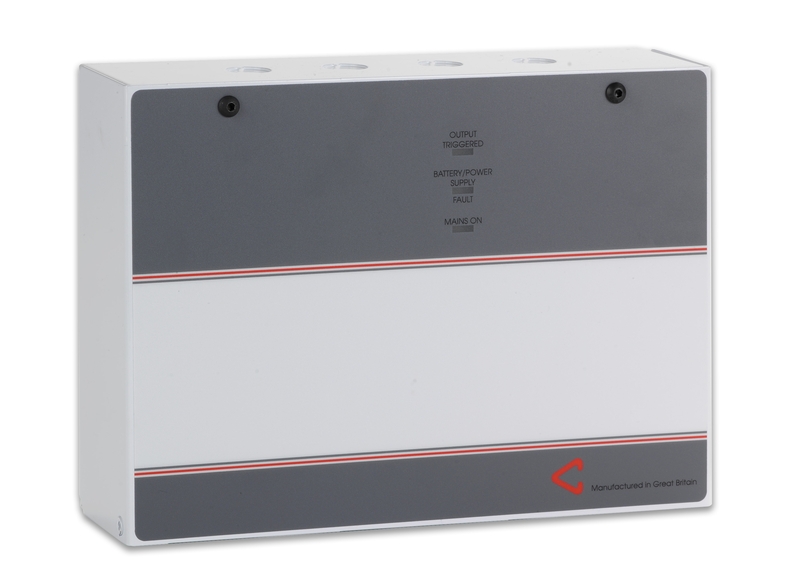 Application/operation A boxed Mains to regulated DC power supply providing 1A @ 24V DC c/w with an on-board relay. Output 1A @ 27V DC. (100mV ripple). Battery charge capacity 1.2 Ah to 2.1 Ah. 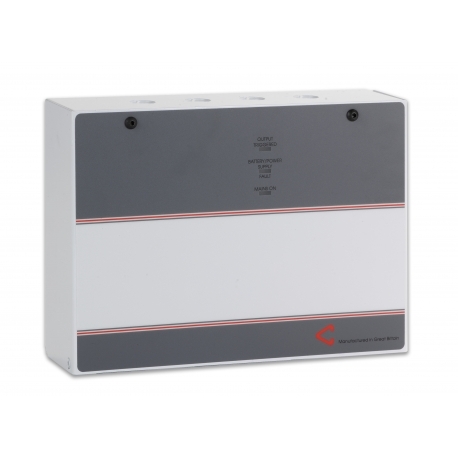 Max battery size and type 2 x 12V 2.1 Ah VRLA (for approx. 80 hours stand by). Note 2 x 12V 1.2Ah VRLA will typically provide 36 hours standby. Open collector outputs Fault monitor: Normally off; Max. off voltage: +27 V DC; Max. current when on: 50mA. Indicators Mains On, Battery/PSU Fault and Output Triggered. 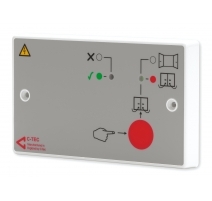 Controls Trigger input: +5-27V DC (max. current 1mA;) Hold Off Input: +5-27V DC (max. current 1mA). Voltages with respect to 0V. Connections Hold off; Trigger; Fault Output; 0V; N/O; N/C; +24V. Product dimensions (mm) 271 W x 200 H x 70 D mm. Construction & finish Hinged metal lid with grey and white label; Metal base. Product dimensions: 271 W x 200 H x 70 D mm. Designed for surface mounting only.